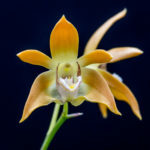 This is a first bloom seedling of the primary hybrid of Dendrobium chrysopterum (New Guinea) and Dendrobium glomeratum (Moluccas Islands, Indonesia). 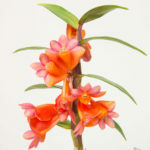 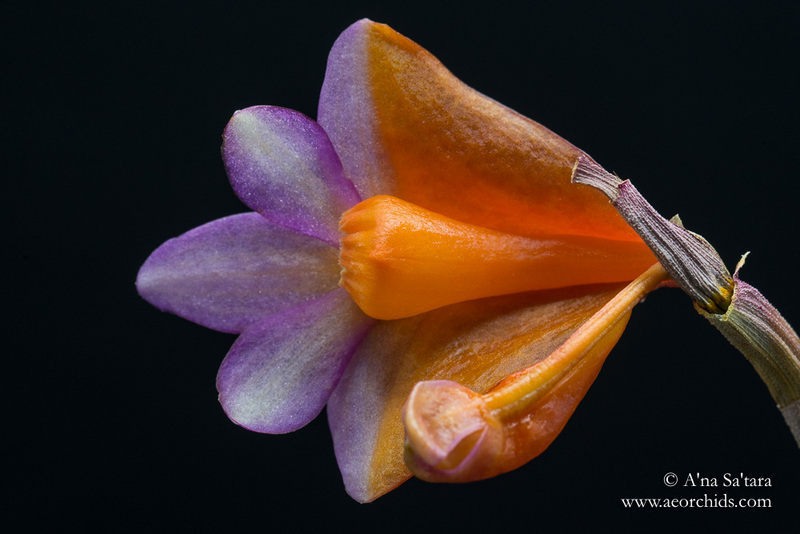 While clearly retaining the shape of Dendrobium chrysopterum, the usual orange/yellow candy corn coloration is replaced with orange/pink. 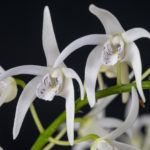 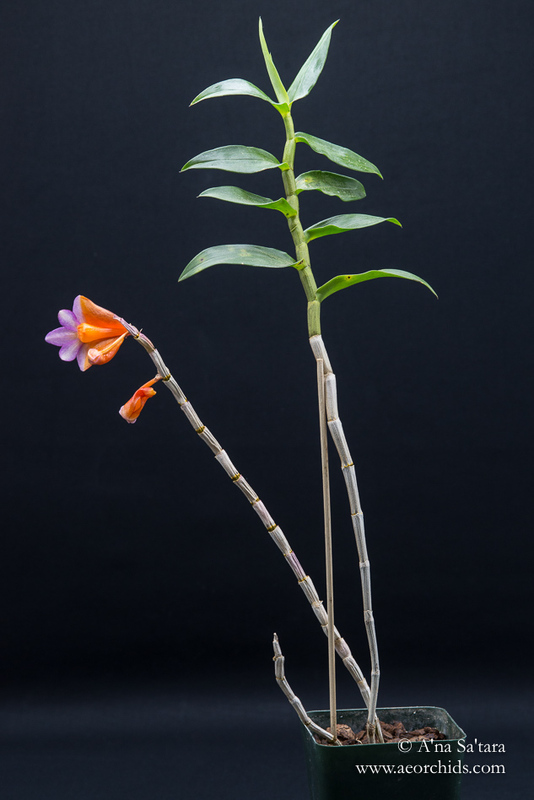 The size and form of the canes are very similar to Dendrobium chrysopterum; I would have trouble telling them apart when not in bloom. 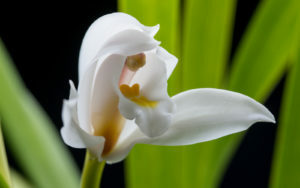 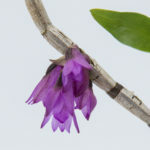 For comparison, this is the flower from a first bloom seedling of Dendrobium Golden Gate Sunrise, the cross of Dendrobium Hsinying Chryopense back onto Dendrobium chyrsopterum (75% Dendrobium chrysopterum, 25% Dendrobium glomeratum).